Memorial Day weekend is upon us. We all know that signals the start of some crowded rivers, lakes, national parks/state parks, and recreational areas. Don't let that scare you though. Believe it or not, it's pretty easy to leave the crowds behind without sacrificing some excellent fishing. In fact some of the best trout fishing in the state can be found in the backcountry right now. With that being said, more easily accessible waters such as the Davidson, North Toe, Nantahala, the Tuck, and many State Park waters, are fishing well. Many anglers would agree that a secluded stream or river well away from other anglers and people adds to the experience. The unofficial start to summer, or meteorological start of summer, starts tomorrow. Looking at the forecast, it doesn't matter if tomorrow is the unofficial start or not. It's about to get downright summer-like. Many places in WNC are expected to climb well into the 80s throughout the week. Sparse, pop-up t-storms in the afternoon/evening will cool off areas that see them, but count yourself lucky if you're caught in a storm. It looks like the storms will form and roll across western NC almost every evening this week. Slightly better chances for them on some days and slim chances on others. Like mentioned, the wild waters up in the higher elevations are on fire. If you don't mind smaller fish (with some occasional fish of decent size on some waters) head up to a wild stream. DH waters end next Saturday, June 4th by the way, so we have a week to fish them. Check out last week's stocking schedule here. 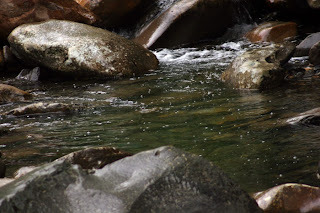 Or you could fish a lower elevation river, such as the Davidson or Nantahala in the morning and then fish wild waters from noon until the end of the day. Water temps are still looking great as well as water levels. The trout are pretty happy right now. With the prolonged hot temperatures and relatively slim rain chances, water temps and levels will change soon. Keep an eye on the water levels by clicking here or choosing a river from the "Stream Levels" tab on the menu bar. As far as flies go, nymphs in the morning and dries in the late afternoon/evening is best. Try a Prince Nymph, Pheasant Tail Nymph, Lightning Bug, Rainbow Warrior, Green Weenie, Inch Caddis, San Juan Worm, and so on. Switch to terrestrials such as a foam beetle, Extended Body Inchworm, ant, or even a hopper (although it's a bit too early) by noon. By evening, I would switch to dries such as a yellow Stimulator, Elk Hair Caddis, a Yellow Sally pattern, Parachute Adams, or Light Cahill. Green Drakes are hatching according to reports. 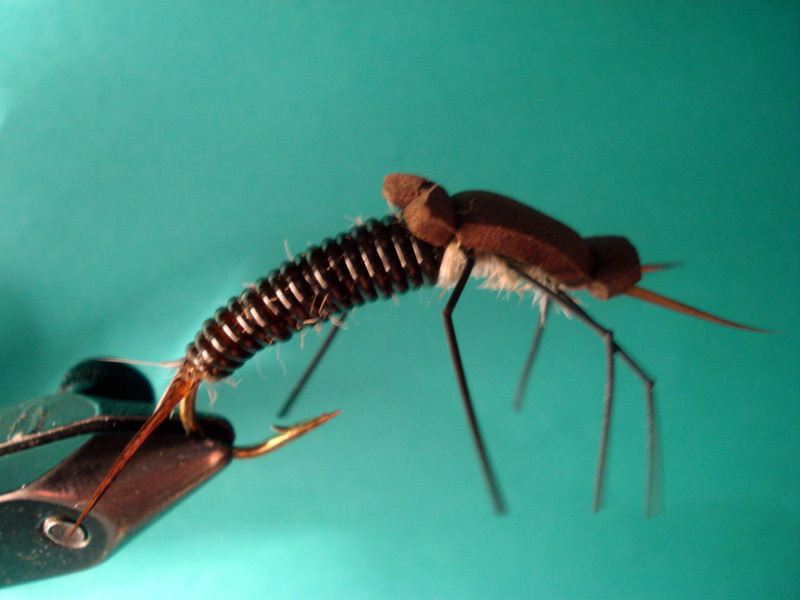 This is about the time they're seen, so it wouldn't hurt to have a few Green Drake patterns in your box both nymph and dry. If you'd like some free flies, make sure you enter the contest by either clicking the banner at the top or navigating to the post below. We still have plenty of time, as the contest ends June 21st. If you head out to stalk some fish, have fun! Want To Win Some Flies? 1) Become a follower of THFF in the upper right hand corner of the blog. 2) Have a Facebook account? Like THFF on Facebook. 3) Do you "tweet?" If so, follow on Twitter, for frequent tweets on conditions, waters, tips, etc. 4) Last but not least, leave a comment below. Doesn't matter what the comment says, as long as it's appropriate and clean. Good comments would include "I'd love to win this contest", or "I like fly fishing!" I'll then count up the comments. Then I'll use Random.com's number generator to draw a number. If there's 25 comments and you're comment number 20 and number 20 is drawn, you'll win 2 of each of the following flies and a few "surprise" flies. Thanks for supporting THFF.com! Good luck! Spread the word! Contest starts now and ends June 21st, the first day of summer. We have our fair share of interesting news articles and stories here in NC. Unfortunately, every now and then, we hear the stories we don't want to hear, such as a drowning or missing angler/outdoor enthusiast. 1) A potential world record breaking Redear Sunfish was caught in Lake Havasu in Arizona earlier this month. The monster weighed in at a whopping 5 pounds 8 ounces. Imagine catching this sunny on your 2wt fly rod. Of course in order to show the significance of this fish, the bottom picture is a Redear I caught last month. That fish—caught in a small pond in Virginia—is about average for Redears. 2) Texas is expected to pass the "Liar Law." It will be a felony if you lie about the size of a fish in a tournament. The law would create a new Class A misdemeanor. However, if caught lying at a tournament with $10,000 or more in cash or prizes at stake, it's increased to a third-degree felony. That means 2-10 years behind bars. I haven't found any updates on whether or not Texas Governor Rick Perry has signed the bill, but the fact that the Texas senate unanimously passed the bill has myself (and many others) believing it will be signed (if it hasn't already and I'm simply not seeing the updates). 3) An angler fishing the Jackson River in Virginia, slipped and fell into the river, filling his waders. Luckily the man was pulled to safety by his brother. When your waders fill with water, it's a struggle to stay above the surface. It's one downright scary experience. Read the article here. 1) Highs were in the 40s across some parts of WNC earlier this week. 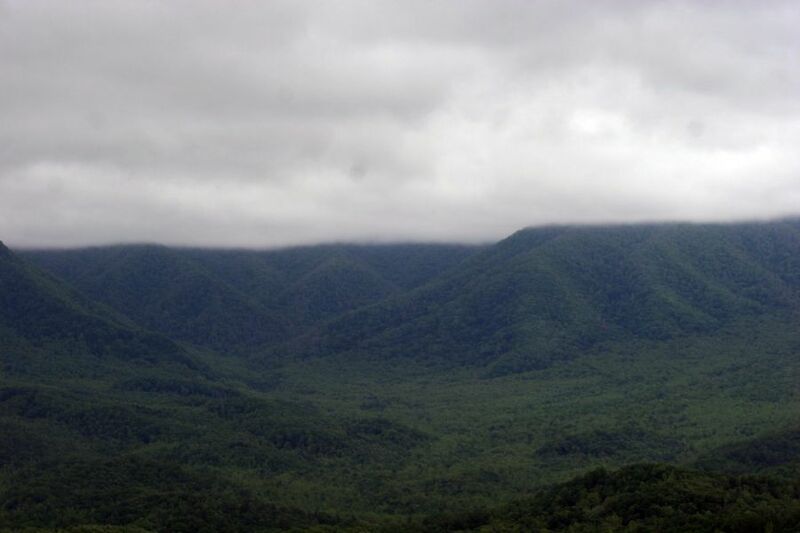 In fact, snow was falling atop Beech Mountain and Mount Mitchell believe it or not. Elevations above about 5,500 ft were, for the most part, cold enough to see some frozen precipitation falling from the sky. While not a common occurrence this time of the year, it's not unheard of. Mount Mitchell has observed snow during every month of the year. The snow didn't last very long and was in, out, and gone quickly. No accumulations during that small window of wintry fun, but it goes to show the weather around here can change in a blink of an eye. Sunny skies, warm temperatures, and overall pleasant conditions in the morning are prone to rapidly change. Especially when cold fronts move in. With that being said, if you enjoy continuous hot, humid, downright muggy conditions, next week is your kind of week. The 7 day is a horror story to cold lovers and music to Al Gore's ears. Low 90s in most Piedmont spots and temps approaching the 90 degree mark in areas such as Asheville, Brevard, and Franklin. Not as bad as you'd think though. Slip your feet into your wet wading shoes and let the cool water of a trout stream wash the heat away. 2) Delayed Harvest waters will be winding down in about 2 weeks. Shortly after DH ends, most streams will be cleaned out. If you're a big DH fan, enjoy the remainder of the 2010-2011 season! Right now, wild waters are on fire. The fish are active and are readily caught on dries (nymphs too, especially in the morning). Try a Pheasant Tail Nymph, Green Weenie, Zug Bug, Lightning Bug, or Prince Nymph. In the afternoon/evening, switch to dries. A#14 Yellow Stimulator, Inchworm, Beetle, Ant, or a Parachute Adams (yellow Para Adams have been working exceptionally well). You're not limited to just those though. Most fish around here, particularly fish that are not pressured as much as others, are opportunistic feeders. This essentially means what it sounds—they will eat anything that looks remotely like food. The higher elevation wild streams typically have a medium to high gradient, so swift water is plentiful. Quick decisions must be made by the trout, or he'll lose his potential meal. Stay low, wear drab, earthtone colors, and avoid splashing. Crawl if you must. If you don't see any fish and don't catch anything, stealth was likely the main culprit. Most fish will flee before you even know they're there, making it seem as if the stream is devoid of trout. Approach your quarry like a heron, cast to them delicately (i.e. picking the fly line off of the water delicately, not slapping it down on the water, etc), and present a decent presentation, and your catch rate should increase tremendously. 3) Enjoy the week! If you head out, we would love to hear about your trip! Words cannot fully describe how epic this weekend has been. Troutfest was incredible, the fishing was great, and the scenery/photographic opportunities were nothing short of spectacular. Met/saw a host of folks at Troutfest and at the shop. Like mentioned, words can't fully describe the trip. So, here's some pictures. Okay, a lot of pictures. Some were taken with a point and shot, but most were shot with the Canon EOS 20D. Click on them for a larger view. 1) I'm typing this post in Gatlin-Vegas (Gatlinburg), about 30 minutes down the road from Troutfest. Found a decent price on a hotel, so without hesitation, I jumped on it. From the HQ, I can easily fish several watersheds located 20 minutes away. In fact, I took advantage of the short distance to some of the best trout streams in the area this evening. Rolled into Gatlinburg around 6:45 and pressed on past the tourist attractions and shops reminiscent of Myrtle Beach. Within about 15 minutes, I was sitting at about 3,500ft. the honking horns and yelling people down in G-Burg were replaced I with rain falling on trees and a rushing stream. Perfect. 2) Starting out, the fishing was a bit slow. I was baffled that a #14 Yellow Stimulator was being ignored by hungry wild trout. Although, around 7:45, the fishing picked up. Hatches were really starting to come off of the water. A few Light Cahills and Yellow Stones being the primary insects. Towards 8 o'clock I was growing concerned I might be skunked. I put my fly in the hook keeper and turned around. As I turned, I saw a 7" brookie feeding in the pool directly behind me. Immediately, I dropped to a crouching position, removed the fly from the hook keeper, got into position, and made a delicate cast to this speck holding in slow, calm water. He eagerly rose to the Yellow Stimulator, but wiggled off in a split second. Almost like it didn't happen, he drifted back to his lane and continued sipping stones and mayflies from the surface. I quickly changed to a yellow Parachute Adams. He quickly accepted that too, but again, wiggled off. Scratching my head, I made the transition to a #14 Extended Body Inchworm. As I looked up after tying the fly on, I noticed the little brookie wasn't in his preferred lane. He moved to a different lane (possibly to get away from me, or in search of a better food source). I placed the EBI just above him. He quickly approved of the EBI and a perfect hook set was made. As I stripped him in, I could see a blur of orange. At that point, I realized I had a wild Smokies brookie on the line. Now, whether or not he was a Southern Appalachian Brookie or a Northern Strain is still up in the air. Regardless, it was a memorable evening. 3) Troutfest 2011 is here. Tom Rosenbauer, Joe Humphreys, Lefty Kreh, and Bob Clouser are all here in east Tennessee. If you can, come on out. It's going to be one heck of an event. 4) Folks have been saying the banquet, which was tonight, was excellent. The people that put together Troutfest are incredibly talented and know exactly how to pull off such an awesome event. Big thanks to all of the people that make Troutfest possible. 5) I'll be tying in tent B from 1-5pm. 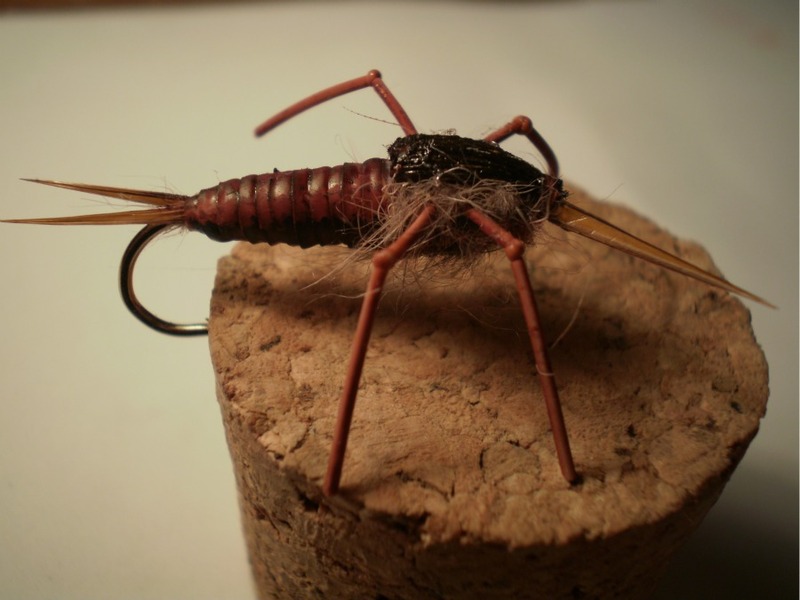 Extended Body Inchworms, Vinyl Rib Stones, and some semi-realistic bugs are on the fly menu. Swing by and say hello! 6) I'm hitting the hay. Fishing the Park in the morning, hanging out at Troutfest from about noon until 5, and then fishing the Park again tomorrow evening. Hope to see you there! 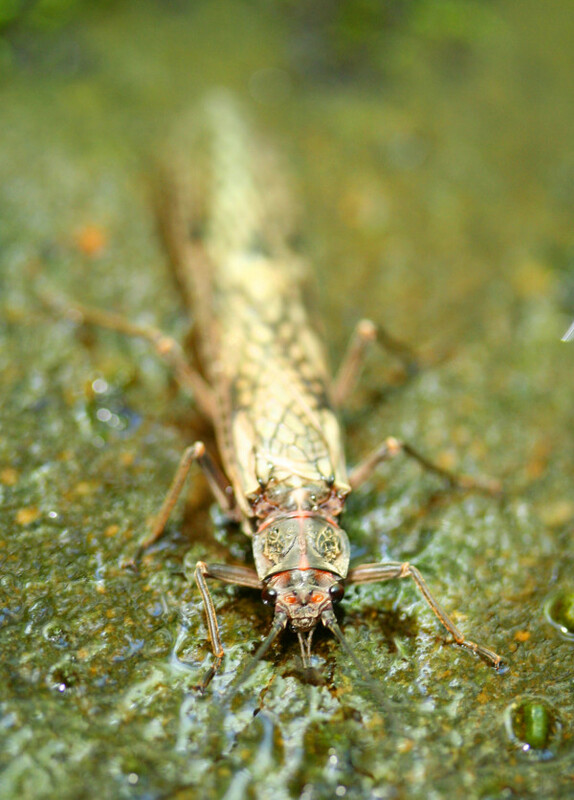 Ian Rutter, who operates R&R Fly Fishing snapped the above picture of a large American Salmonfly on a Smokies stream. Salmonflies are well known amongst fly anglers across the western US. However, salmonflies are present around here. With that being said, in the east they are a different species known as the American Salmonfly (Pteronarcys dorsata). The Giant Salmonflies (Pteronarcys californica) out west are much more prolific than their eastern counterparts. I've seen them at night while camping in the Smokies. They're basically torpedoes with legs. Like all bugs, the hot, bright, lantern 10 feet from the river was a big attraction. They were crashing into it and falling to the ground burnt to a crisp. Clumsy little critters. Grilled Salmonflies anyone? Rivers all across WNC are looking great! Flows are right where they should be and temperatures, both air and water, are right on the money. 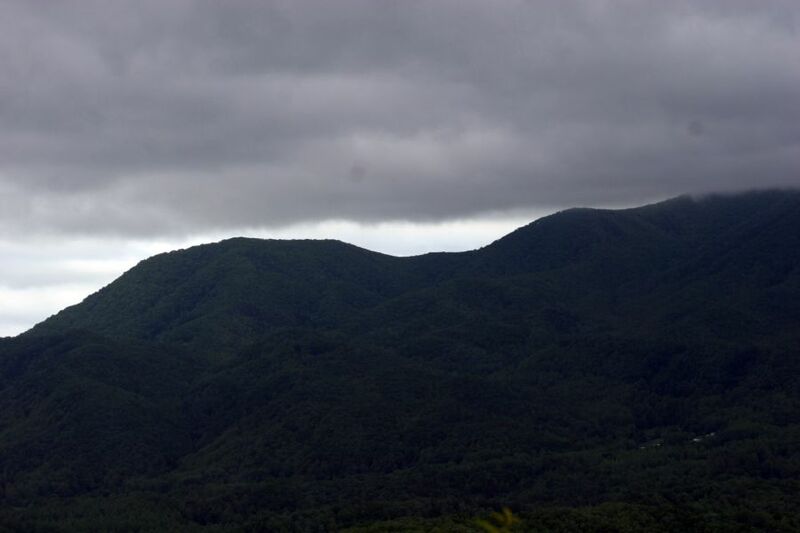 Temperatures across WNC are ranging anywhere from the 60s in the higher elevations (mainly above 4,500 ft) to the lower 80s in the mountain valleys. The forecasts for a hot week with many areas approaching 90 in the Piedmont on several days, has faded away. The "heat axis" has stayed mainly on the other side of the Apps over in Vol Country. My old summertime stomping grounds of southeast TN will be in the lower 90s Wednesday. If you're fishing the Hiwassee, or heading up to the Tellico, stay cool! Overall, simply fantastic fishing conditions. With that being said, t'storms are in the forecast throughout the week, so keep an eye on the forecast. Tomorrow looks dicey. Especially across the western portion of the state. Large hail, damaging winds, and heavy rain are the main threats with any angry storms that fire off. Rivers will likely rise with any passing storms. Like we've seen recently, they'll recede quickly though. Still, if you notice the river rising, play it smart! I've seen the Davidson rise a foot in less than 2 hours. It was sunny at the hatchery, but a severe storm upstream sent water rushing downstream in a hurry. Great fishing when the water is muddy, but it can be treacherous. Best to stay on the banks and rip a streamer through the pools. Nymphs in the morning and dries in the evening is the ticket. Tie on a Yellow Stimulator in the evening and start counting fish. Right now, the evening hours don't bring only cooler temperatures and lower light. A lot of the hatches we see are almost always centered around the evening hours. Not all, but a good amount are. Sulphurs, Light Cahills, Green Drakes, Yellow Stones, and Green Stones (just to name a few) hatch in the late afternoons and through the evening hours. During the day, the fish are going to be targeting mainly nymphs, although terrestrials such as beetles, ants, and inchworms, will usually get them to look up. The consistent warm weather this week will cause the terrestrials to really move. The 13 year (Brood XIX) cicadas are emerging and you'll hear them pretty soon. WCNC chief meteorologist Brad Panovich said they're starting to emerge and buzz in the Pineville area. Folks up in the Triad have reported them, amongst many other people around the Piedmont. They'll be out in full force, drowning any other ambient noises within a 3 miles radius. Small, but loud bugs! NC State says the XIX brood should emerge in pockets across the state, except the coastal plain. We'll see we're they end up. If they start emerging in the western Carolinas, get ready. The fish go absolutely crazy. Especially the smallies. Drop a big cicada pattern under overhanging trees on the French Broad and watch the fish fight over it. Large trout will also tackle cicadas, but by far smallies are known to munch on them more frequently. President of Little River Chapter of Trout Unlimited, Rufus King, along with GSMNP head fisheries biologist Steve Moore discuss Troutfest with WBIR (Knoxville, TN). Check it out! Troutfest 2011 is just around the corner. Next weekend, May 13th-15th to be exact. T-Fest will be held at the Townsend Visitors Center in Townsend, TN. The banquet is on Friday evening and the expo is Saturday and Sunday. If you've attended in the past, you know how exciting Troutfest is. Fly fishing, fly tying, great people, great food, and after the expo, great fishing. In no particular order. This year, T-Fest is going to be even bigger. Last year was incredible. This year is expected to be even better, if you can believe it. 2 new additions to the celebrity anglers include Tom Rosenbauer, who is currently the marketing director at Orvis, an author of many popular fly fishing books, and the host of the Orvis Fly Fishing Guide Podcast (just to name a few of his accomplishments). Second in the celebrity lineup is Zach Matthews. Zach hosts the very popular Itinerant Angler podcast and is the Southeast Field Editor for Fly Fisherman magazine. Of course the legends Lefty, Bob, and Joe will also be there. Troutfest isn't your ordinary expo. Proceeds raised go to Great Smoky Mountains National Park Fisheries Department, Friends of the Smokies Fisheries Scholarship Fund or other youth educational conservation projects. Of course a small portion will be saved for Troutfest 2012. If you are driving to Townsend from a considerable distance away and you're planning to stay overnight, book your campsite/hotel room quickly, as time is waning! I'd imagine hotels in Townsend are pretty full. Campgrounds are likely no different. If there are no vacancies, try Maryville/Alcoa, Gatlinburg, Pigeon Forge, or even Knoxville if you don't mind the drive. I'm scheduled to demonstrate as a fly tyer on Saturday from 1 until 5. I'll be tying Extended Body Inchworms, Vinyl Rib Stones, and if time allows, some semi-realistic patterns. Requests for a certain pattern are welcomed as well. For more info on Troutfest, visit Troutfest.org. To view the official Troutfest 2011 schedule, click here. Forgot to debarb your hook? Have one in your skin embedded past the barb? Billy Chapman Jr. of Angler's Inn International actually demonstrates an easy way to remove it. You heard right. He literally stabs a treble hook into his arm and yanks it out without a problem. Nothing gory or stomach-turning about it, although, if you can't stand watching someone intentionally sticking a hook into their arm and yanking it out, you might want to pass. This technique is easy and according to Billy, painless when the hook is pulled out. Now, don't go stabbing 2/0 treble hooks into your arm to test it out ya hear?! 1) Despite the line of severe thunderstorms that rolled across the state dropping very heavy rain, water levels are looking great. The storms are done for a while, so rivers will continue to be in good shape. Temperatures are the big story now, as the cold front that triggered these storms last night, passed over WNC around 8-11pm. The cold air immediately started to seep into the region and we felt the effects today with highs in the 60s. Still, tomorrow morning will be the big slap in the face with temperatures in the mid to lower 30s across the mountains and upper 30s in the Piedmont. Frost warnings and advisories have been issued for the mountains, as a result of the cold temps tonight. Hard freeze warnings have been hoisted in extreme eastern TN right on the border of NC. This will more than likely be the last time we see temps near or below freezing, as weather more in line with late spring boots this cold out by the weekend. Upper 80's, with temps approaching 90 possible in the Piedmont next week. Looks like the temps climb incrementally until we hit hot and muggy conditions. The players teeing off at the Wells Fargo Championship here in Charlotte are in for a great weekend. Up in the mountains, I've got a feeling next week is going to give way to some spectacular fishing. Actually, this weekend doesn't look half bad. Either way, get ready! 2) The weekend should yield some decent fishing. By next week, the fishing will be at its best, if the storms and heavy rain hold off. After this short cold snap, wet wading will become popular. In fact, there's plenty of folks that have been ditching the waders lately. I don't know if I would wet wade over the next few days, but by next week the water should be much more tolerable. 3) I've heard reports of some Green Drakes hatching. Although sporadic, they are fluttering around. May is the month you see them around here. 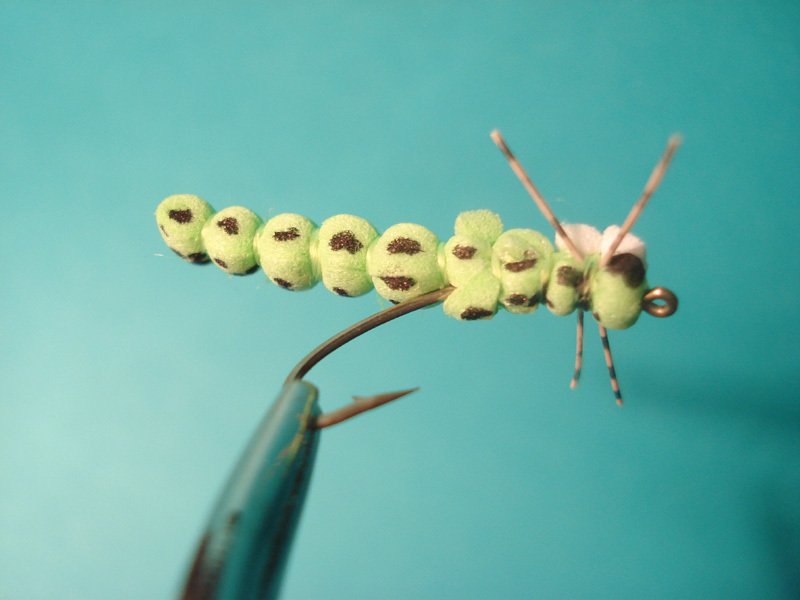 Pretty tough to confuse them with other insects hatching right now, so if you see some starting to hatch, switch to a Green Drake Nymph or wet, cast it to your target, and slowly twitch it up to the surface, imitating an emerging Green Drake. It's also possible you see some Light Cahills. Especially during the warm stretch next week. Hendricksons, Sulphurs, and March Browns will also be hatching. Terrestrials are starting to become more and more prevalent as well in the mountains. Try an inchworm, black ant, or beetle. Still a little too early for hoppers though. 4) Enjoy the last month of DH! Once the first Saturday of June rolls around, it's wild streams and catch and release waters. 1. After a decade of playing hide and go seek, we've finally taken care of the scumbag we knew (good to now say "know" in its past tense form) as bin Laden. I'll never forget where I was during 9/11 and I'll never forget where I was on May 1st. 2. Oddly enough, I had the privilege to talk with a former Special Ops soldier from Task Force 121, 2 weeks ago. "Joe" (his alias, as he couldn't give out his name) was on the team that caught Saddam Hussein. 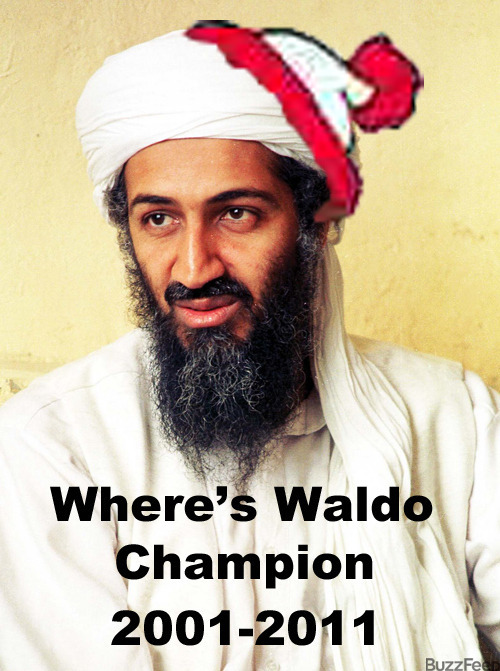 He continuously emphasized that bin Laden WILL be found. 2 weeks later, he was. That coincidence will haunt me for the rest of my life. 3. I can't begin to describe how thankful I am for the brave men and women who have and currently are, fighting overseas to protect our freedom, our nation, and who we are. Without them, we would not be America. 4. Man, am I proud to be an American. The longest article I've written to date of me rambling on and on is now ready to go. NC's Best Trout Streams is the title. I hope you know how to speak gibberish! All joking aside, hope you find it useful. I honestly had a lot of fun writing it believe it or not. It is in PDF format, as putting the entire article on the blog would result in your computer either a) exploding or b) bursting into flames. In order to read it, you'll have to download the PDF file. On some computers, you download the file and it automatically pops up in Adobe Reader. You may have to save it to your desktop (or destination of your choice) and then open it up. If you don't have Adobe Reader, you can easily download and install it here. If you have any questions, comments, or concerns, whether it be about the article or downloading the article, shoot me an email or leave a comment below. I'll do my best to resolve any issues you may come across.